A brilliant author who organized with Dr. King and served on the staff of the Southern Christian Leadership Conference. Dr. Maya Angelou wrote in her tribute to the fiftieth anniversary of the United Nations, “A Brave and Startling Truth,” that “We must confess that we are the possible…. We are the miraculous, the true wonders of this world.” And Angelou was one of the wonders of the world. Her personal story was so rich, so varied, so remarkable in its diversity of experience that Walt Whitman must have imagined her when he spoke of the poet containing multitudes. 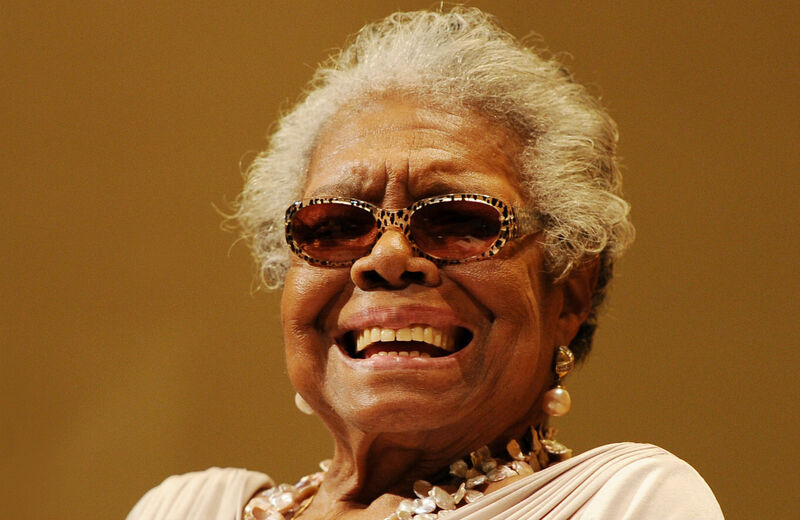 Maya Angelou was not only a participant in the civil rights struggles of the 1950s and 1960s. She was on staff. Inspired after hearing the Rev. Martin Luther King Jr. speak at a church in Harlem, Angelou and actors Godfrey MacArthur Cambridge and Hugh Hurd organized a historic fund-raising revue for the Southern Christian Leadership Conference, a “Cabaret for Freedom” at the Village Gate jazz club. The show, for which Angelou served as writer and co-producer, proved to be such an artistic and financial success that the great organizer Bayard Rustin asked her to replace him as the director of the SCLC’s New York office. She took the job, joining a circle of organizers and activists that included Rustin, labor leader A. Philip Randolph and Dr. King. At a time when the profile of the movement was rising, Angelou helped to raise the resources that allowed King and others to organize historic challenges to the Jim Crow brutality she would later examine so brilliantly in her books. After Angelou left the SCLC, to marry an anti-apartheid organizer and then to move to Egypt, she remained deeply engaged with the civil rights struggle. She was in Ghana when the 1963 March on Washington for Jobs and Freedom took place. But Maya Angelou still marched. Outside the American Embassy in Accra, Angelou and others rallied with signs calling for an end to segregation and apartheid. * the establishment of a progressive tax and fiscal policies that respected the needs of working families.